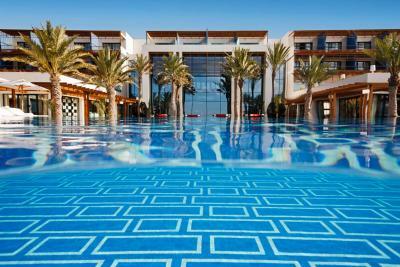 Lock in a great price for Sofitel Essaouira Mogador Golf & Spa – rated 8.4 by recent guests! The room is very modern and the garden view was better than expected! We could watch the sunset from the patio. The room service was timely for ordered food. The hotel was wonderful. The staff were welcoming and willing to address/help with any task... they decorated our room with flower petals and provided us with a special dessert for our honeymoon. The food was delicious at both breakfast and dinner. The servers were attentive and very kind. Rachid served us drinks at the pool and made great recommendations. The property and multiple pools are beautiful. We would definitely stay here again! The hotel exceeded my expectations. The property is beautiful and relaxing. The room was large, comfortable, and clean. The hotel staff was also very helpful. 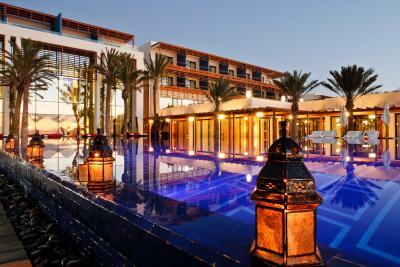 I would recommend this hotel to anyone looking for a relaxing experience in Morocco. 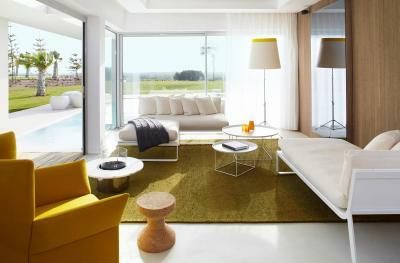 We liked the beautiful and spacious villa with the ocean view and by the golf course. It was really a prefect space for our 4 member family. We stayed only one night but managed to enjoy the spa and fitness center. Great property to stay a bit longer and enjoy the facilities. It was very nice and quiet. To go to Essaouria by car is easy. Rachid from the pool staff is amazing. He was always so friendly and attentive. He made the lazying around the pool really comfortable. 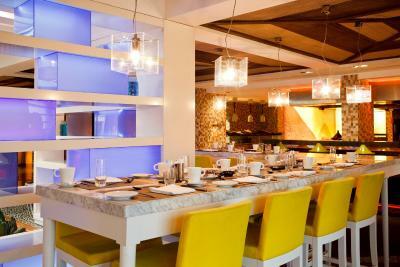 A great breakfast buffet with friendly and helpful staff. Big and confortable bed. 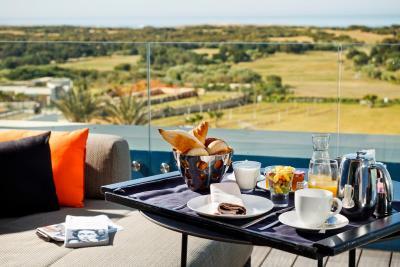 Staff realy friendly, but hotel in very bad condition..
Sofitel Essaouira Mogador Golf & Spa This rating is a reflection of how the property compares to the industry standard when it comes to price, facilities and services available. It's based on a self-evaluation by the property. Use this rating to help choose your stay! 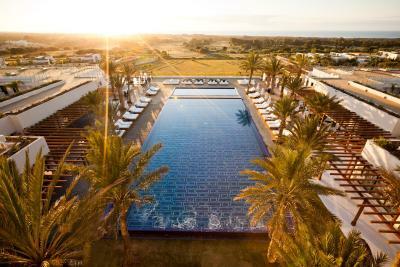 One of our top picks in Essaouira.Sofitel Essaouira Mogador Golf & Spa, located on the Gary Player Golf Course, features 2 swimming pools and a fitness center. 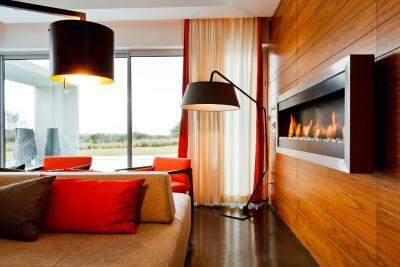 It offers stylish villas and suites. 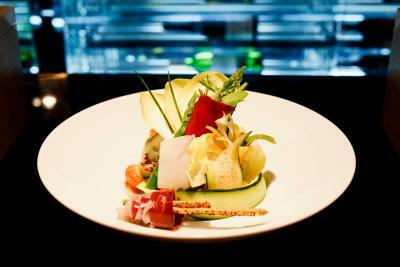 The 5-star villas, rooms and suites are decorated in natural, soft colors and a butler service is provided. 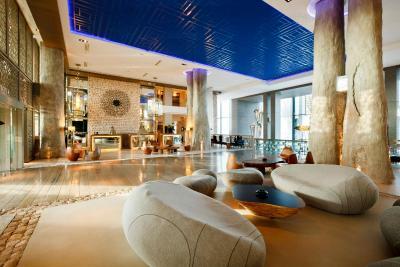 They are equipped with a mini-bar, satellite TV and free Wi-Fi access. 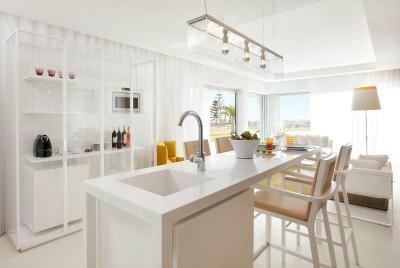 All rooms feature a terrace with a view of the golf course or the sea. 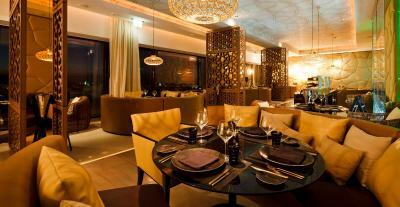 The Sofitel Essaouira Mogador Golf & Spa resort has 5 restaurants, including a buffet restaurant and 4 restaurants serving à la carte dishes. 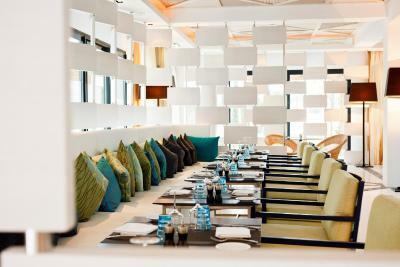 There are also 4 bars where guests can relax after a day by the pool. 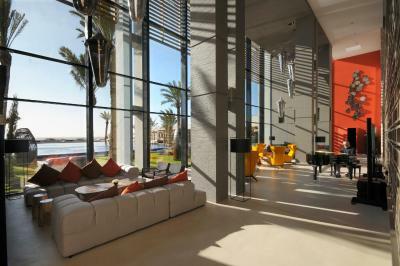 The resort is ideally located for exploring Essaouira. The historic museums and beaches are only 2,950 feet away. Free parking is available on site and the hotel provides free transfers to the medina. 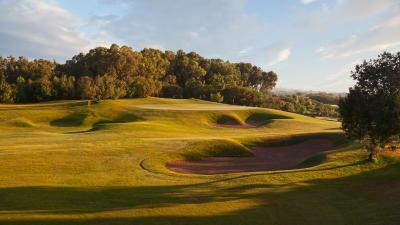 When would you like to stay at Sofitel Essaouira Mogador Golf & Spa? 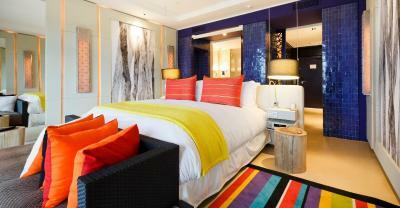 This air-conditioned and soundproof room has a furnished balcony and a flat-screen TV. It offers views of the golf course. This air-conditioned room features a balcony with view of the grounds, flat-screen TV, DVD player, safe and iPod docking station. 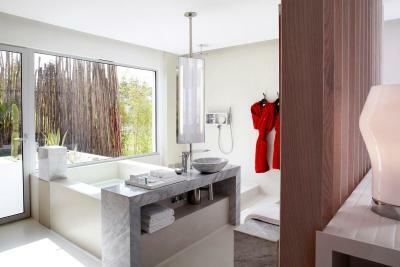 The private bathroom includes a hairdryer, free toiletries, bathrobe and slippers. This air-conditioned villa features a balcony, flat-screen TV, DVD player, safe and iPod docking station. 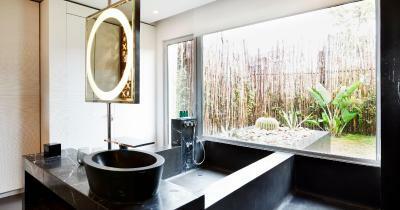 The private bathroom includes a hairdryer, free toiletries, bathrobe and slippers. It offers views of the golf course and of the ocean. This air-conditioned villa features a balcony, flat-screen TV, DVD player, safe and iPod docking station. The private bathroom includes a hairdryer, free toiletries, bathrobe and slippers. It offers views of the golf course. 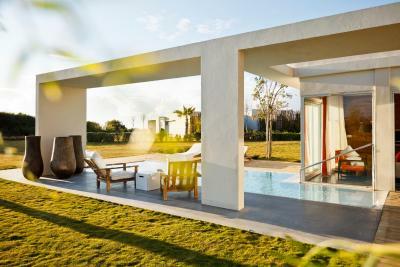 House Rules Sofitel Essaouira Mogador Golf & Spa takes special requests – add in the next step! Sofitel Essaouira Mogador Golf &amp; Spa accepts these cards and reserves the right to temporarily hold an amount prior to arrival. Sofitel Essaouira Mogador Golf & Spa accepts these cards and reserves the right to temporarily hold an amount prior to arrival. There is a lack of investment on the property . Chipped sinks and painting needs to be done.. TV and hi fi needs updating to modern tv. This hotel is so amazing. All the staff are so friendly and you feel that they will go above and beyond to ensure you enjoy your holiday. The room and view is superb. The pool area is perfect to rest and read your book, really chilled. Buffet breakfast is also delicious. Walk down to the beach is well worth it as its beautiful. Tennis court booking not perfect. Long extra walk to get the key to courts. Courts could open earlier than 8:30. Exceptionally beautiful hotel. Architecture and colors perfect! The food in the lunch restaurant and the extremely poor service in it!! The impossibilty of having breakfast in the bar. The need to refurbish the floors, the paint, a bit shabby. The pool isnt at all heated as announced! Shower not working, a bit old hotel. Is not a 5 star hotel. Amazing experience. The staff and hotel are absolutely incredible. It was my 30th birthday trip and they made sure it was special with an upgrade and cake/flowers in the room. We couldn’t have asked for better service, so kind and attentive to our every need. The golf course is also awesome and great views from the room, the shuttle into the town is super easy, quick and frequent. The sink would not drain and it took 3 calls and two face-to-face conversations at the front desk over several hours for the front desk to FINALLY send someone to the room. The floors clearly need some TLC as they are peeling. The light switches often don't work as needed, so no lights in the small room with the toilet during the stay. We had breakfast at the buffet, and the tables inside had ants crawling all over them and one got into the orange juice. 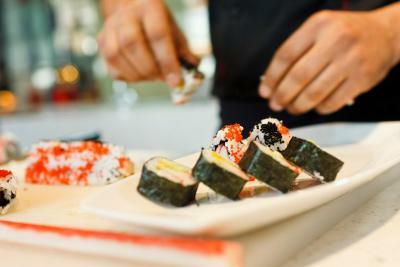 The staff was rude and made comments about me being an American and not wanting to carry plates, which was just weird. The hotel is located about 10-15 minutes outside of Essaouira, which was really the only drawback. They do offer a shuttle every thirty minutes to the city, however this ends at 6:30pm, so if you want to eat dinner off property you need to arrange a taxi. Truth is that slowly but surely the hotel needs a renovation. The situation and location of the hotel are very good. A convenient free navette to town or just a MAD 50 taxi drive to the town of Essaouira is very convenient. Very friendly personnel (not always well trained though) made our stay enjoyable. Very nice location and friendly staff!